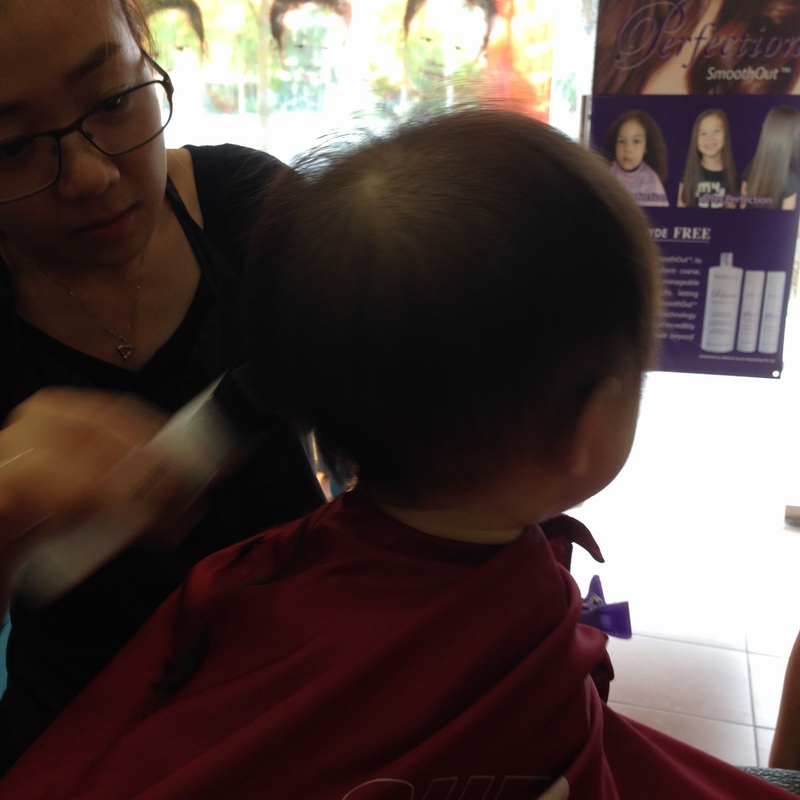 I intended to hold off his first hair cut as long as possible (cheapskate – to save money lar… I don’t see why I should pay someone to snip off his fringe??!!) 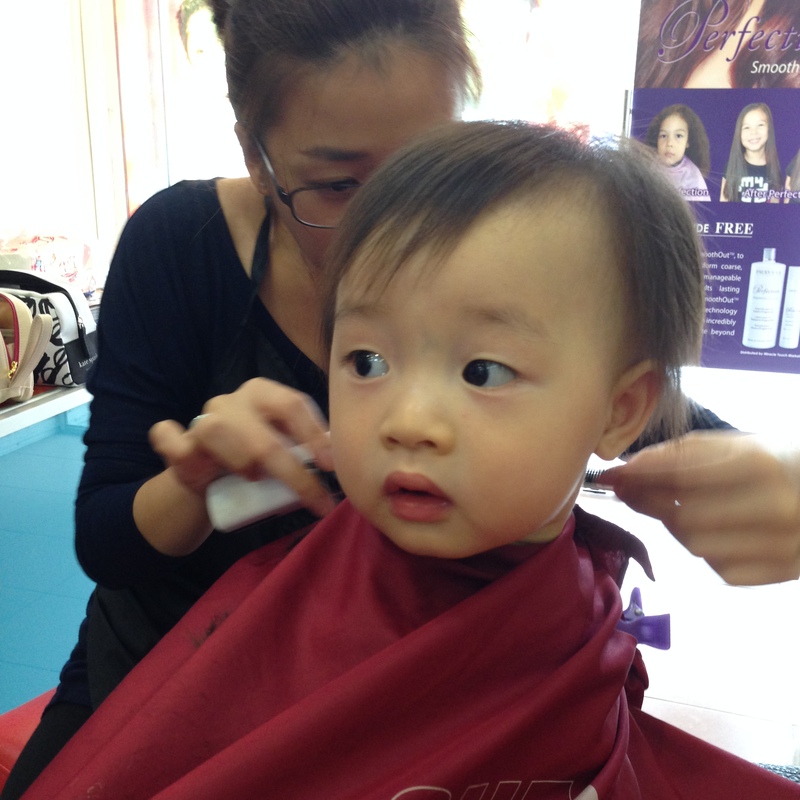 and trim his fringe (so that he can see without having a curtain of wispy hair obscuring his sight) myself. 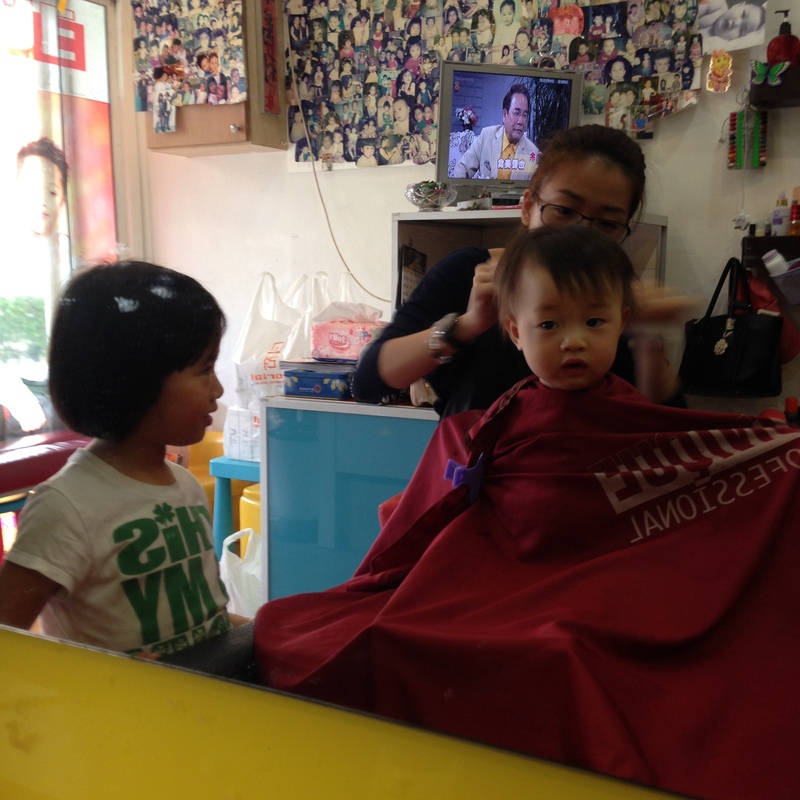 His Daddy thought that he might turn into a sissy and really treat himself as a girl after continuous brainwashing… So I brought him to the same hairdresser who cuts 宝贝’s hair as she needed a haircut too. 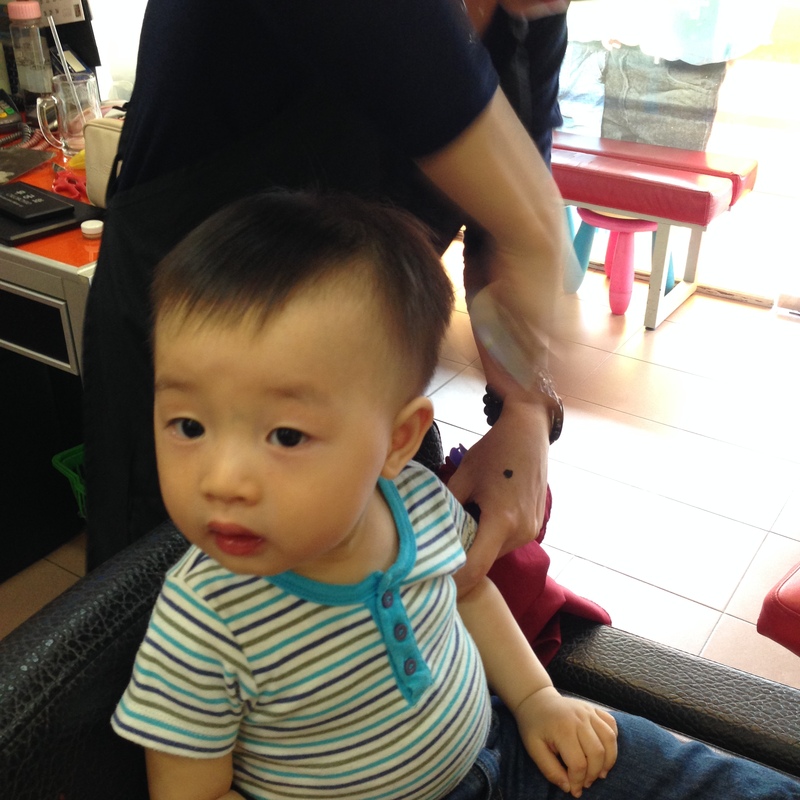 But when I walked in with him, the 2 hairdressers exclaimed, “Aiyo! 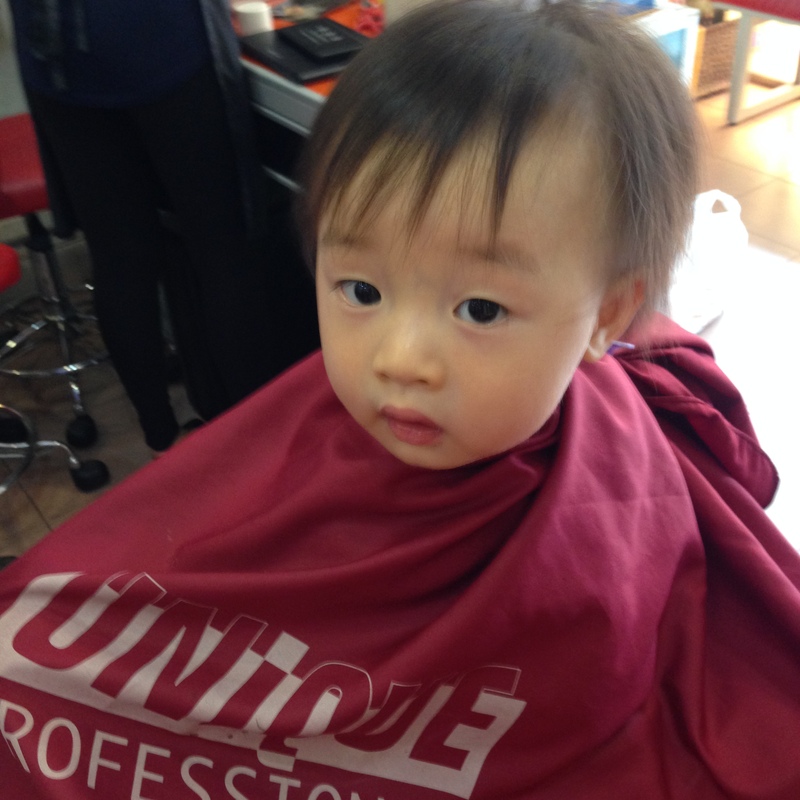 Mei Mei is here to cut hair too? ?” WTH?! Mei Mei?? This time he wasn’t dressed in pink, in fact, I dressed him in the most manly attire I could find in his wardrobe – Blue romper and jeans. Which Mei Mei wears blue and blue?! There he is… All wrapped up and sitting quietly in the chair, in anticipation for the next… adventure?! Just a sidenote : Does he look like a girl?!?!? He felt a strange sensation and heard the weird humming sound of the shaver and so what did he do?! He turned around to look for the source of the strange sound. And he turned and he turned and he turned… It was quite amusing to watch him turn left right left right, trying to find the shaver only to always not find it. Hahaha. Mean mom here. 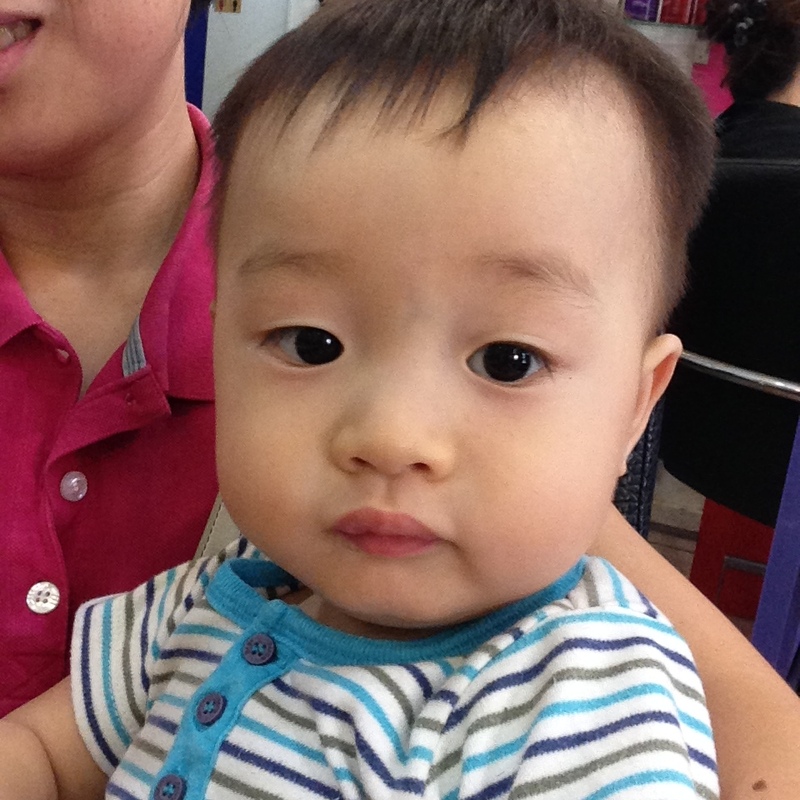 Much easier to look at himself in the mirror.. Ah… starting to look like a boy now! 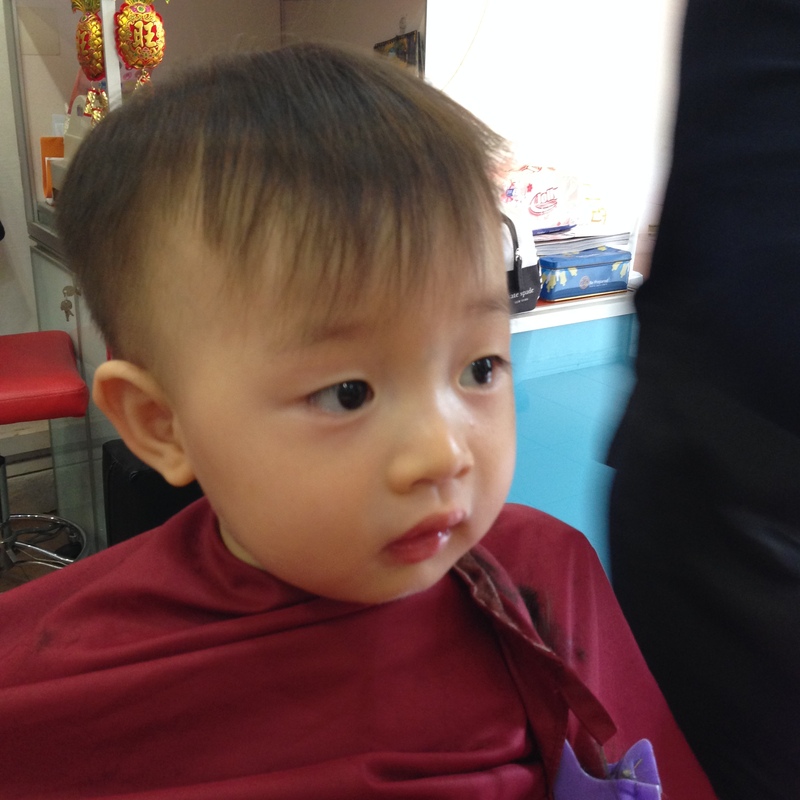 Back to being a boy again! !